We have something totally cool for you! 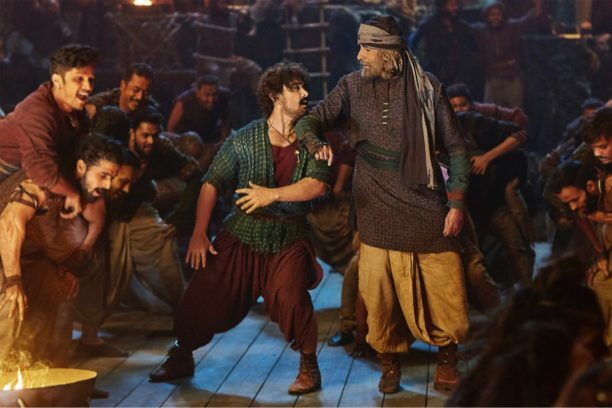 Amitabh Bachchan and Aamir Khan have come together to dance for the first time in Thugs Of Hindostan’s Vashmalle. Ace choreographer Prabhudheva directs a fun dance number that will see the two legends dance their heart out after getting drunk! Prabhudheva, whose choreography sets benchmarks each time, has directed this song titled Vashmalle (Meaning: Dance your heart out and make merry). Prabhudheva always leaves his mark with high energy dance numbers that boast of unique dance moves. Vashmalle too will stand out because Amitabh Bachchan and Aamir Khan are seen dancing their hearts out in the film. Sukhwinder Singh and Vishal Dadlani have sung this anticipated number while celebrated lyricist Amitabh Bhattacharya has penned its supremely catchy lyrics. Ace music composers Ajay-Atul have created this epic track.